When Judicial Ruling 1210 was handed down at about 4:15 pm on Friday (with the General Conference scheduled to recess at 5 and then return for a two-hour legislative session before adjournment), creative chaos ensued. One of my fellow Church and Society B committee members called for a five minute recess, and a flock of progressives (it’s like a pod of whales) surrounded the communion table. One thing was clear: we had very little time to get a structure in place that would let the church function within the budget that had already been passed, eliminate inconsistencies, and keep any form of the constitutionally unsalvageable and now defunct Plan UMC from resurfacing. After the five minute recess, the secretary announced that we would recess early for dinner, returning at 7:30, so that the calendar and agenda committee, the Council of Bishops, and other groups could figure out what needed to happen to conclude enough business that the church could move forward. Our unofficial caucus group met in a large room. We did not bar the door; all were welcome. We knew other meetings were taking place, and we tried to have conversation with folks that weren’t in the room. We tried to invite representatives from all over the world, although only one international delegation ended up joining us. Everyone spoke who wanted to. We hashed our possibilities: we couldn’t come up with a constitutionally sound plan to reorder the structure of our global denomination in two hours; there really wasn’t a way to resurrect Plan UMC and amend it into something that we could find palatable (including reinstating COSROW and GCORR); we didn’t want to simply refer Plan UMC because it had already been ruled unconstitutional and would eat up massive resources for study and amendment of a plan that we felt was fundamentally flawed (and we suspected this is what the group supporting Plan UMC would do). This left us with two options: revert to the 2008 denominational structure and somehow try to make it work in the reduced budget that had already passed, or approve the plans that the boards and agencies themselves had made to streamline and come into harmony with the initial findings of the Call to Action reports, and then save further restructure for the four years ahead. By consensus, the group decided this last was the best option. To make that happen, several legislative things had to happen in very quick succession. The body had already approved a handful of legislation that allowed for some boards to function properly, but now had to bring up, bundle together, and approve several more pieces of legislation from the boards and agencies to enable the rest of them to have streamlined functioning, and then reconcile a few pieces that had inconsistencies. The larger group disbanded and about ten of us wrote out the plan. I had been taking notes and began typing out an order of approach and talking points. We had an hour. We wrote the motions for bringing up the legislation and the talking points for why it was important to do it this way: approval of the boards/agencies own plans for independent restructure allows for immediate streamlining while maintaining the functions of each body to do ministries, and leading the denomination into the necessary adaptive change that can take us through the next quadrennium with clear and thoughtful focus rather than hurried scrambling. We anticipated that there would be a motion to bring up and refer Plan UMC. We strongly objected to this option and wrote talking points anticipating this motion: Referral would delay the option to lighten the burden on local churches because it would continue the structure at the current costs. Further, it would divert the attention, resources and energy of our boards, agencies, and governing bodies from their vital work. Basically, we could hash and study Plan UMC for four years at tremendous cost, or we could get busy making and nurturing disciples of Jesus Christ for the transformation of the world. We were assured by the committee on calendar and agenda that they agreed, and that the first motion brought to the body would be a motion to consider the plans of the boards and agencies for their own restructure. We were assured this as late as 7:15, when Brad Laurvick took my laptop from my sweaty hands and ran to print and copy our motions and talking points. Curiously, for whatever reason, that is not how it went down. When the session reconvened at 7:30, there were people *on the stage and at the podium* who brought a motion to refer Plan UMC. I’d like to think this was a miscommunication. It felt like more than that, but we were deep in politics at that point, so I’m going to err on the side of grace and say we must have had some wires crossed. Undeterred, our folks jumped down in the talking points and argued against referral of Plan UMC on the basis of its unconstitutionality and the numerous points that we had lifted. And we ran down the clock debating, asking questions, amending and amending. The plan was flawed and unconstitutional. It didn’t in actuality even exist as it had been struck down entirely. It could not be referred. I myself made an amendment that I thought might have helped me feel better about it: that the resulting plan be released prior to all Annual Conferences in 2015, so that those bodies would have time to look at the plan, study it, and offer amendment and suggestion. I felt this would address one of the central problems with the entire process: the lack of grassroots voices and engagement in the future of our church. Eddie Fox (black shirt, khaki pants) huddles with others during the final recess, just before he would come and caution me against further motions. Mr. Fox later contacted me to add that this was a prayerful gathering, and many of those in the circle are bishops from the UMC worldwide. But finally it was clear that Plan UMC could not be referred or even dealt with. 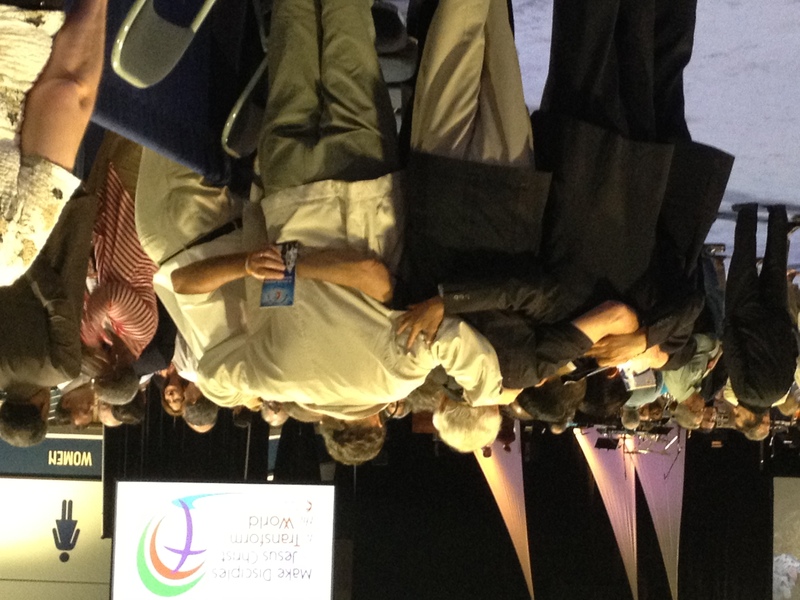 The presiding bishop was forced to rule that indeed a delegate from the Western Jurisdiction was right: it was unsalvageable and the attempt to refer legislation that didn’t exist was out of order. We got to the mics. We made our motions. We approved the plans of the boards and agencies and reconciled the inconsistencies. We recessed. Just before reconvening, I was approached by an older delegate with whom I’d served on committee, and with whom I had frequently—okay always—disagreed, Eddie Fox. Eddie is a man who I’m told had previously seemed to pride himself on using the parliamentary process to advance legislation he supports and kill legislation he does not. He was not in a good mood. Smiling but appearing pretty miffed, he wagged a finger in my face and said something like, Now young lady, I don’t want to see you making any more amendments or speeches tonight. “Why Eddie,” I said, “I want to ensure that we approve the best plan for the future of our church, and that takes time and work, and room for the Holy Spirit. And She moves in mysterious ways.” Smiling tightly and pumping my hand, he wished me safe travels and said he’d enjoyed sharing this wild ride with me (Mr. Fox contacted me in writing, and does not share this recollection of our conversation or of his demeanor or actions. As with all things published on my blog, this is my perception of what I experienced). 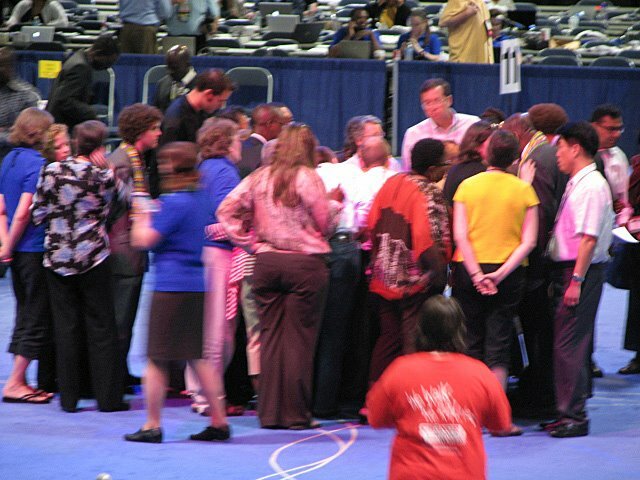 We reconvened, heard announcements, and suffered one last attempt to pull a petition to the floor that would have tried to make the UMC withdraw from the Religious Coalition for Reproductive Choice. I scrambled for my speech, but the motion not only failed to receive the 2/3 that it needed, but it didn’t even win a majority. Joey Lopez, who had been an outspoken voice for inclusion, especially of young people’s voices, had the honor of making a motion to adjourn. 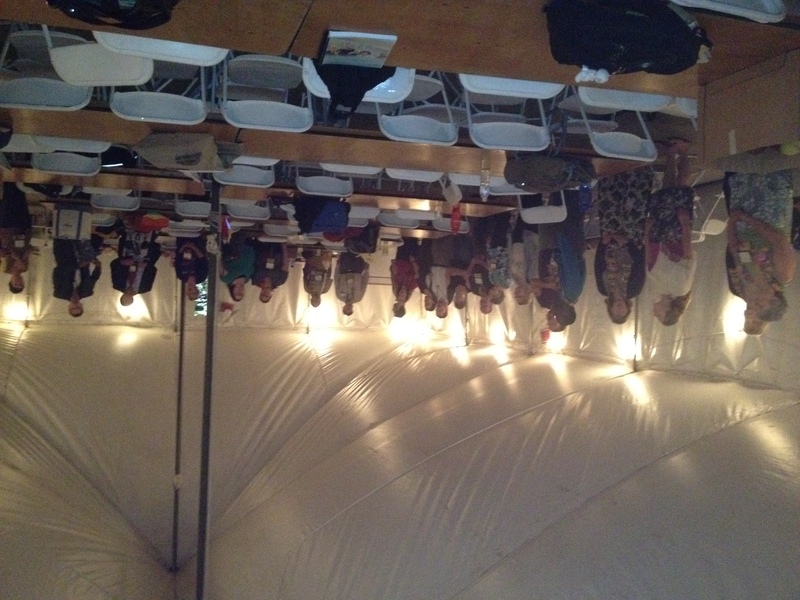 The Coalition worships in the tabernacle after GC closes, drawing the circle wide. We celebrated together late into the night, side by side with people I have named as heroes and role models and Methodist celebrities, and with friends I didn’t know or barely knew two weeks ago.The outcome felt miraculous. In fact, I’m pretty sure it was. We’d done everything we could, but I honestly believe the Spirit pulled us through. I was just along for the ride. What happens next? Where do we go from here? 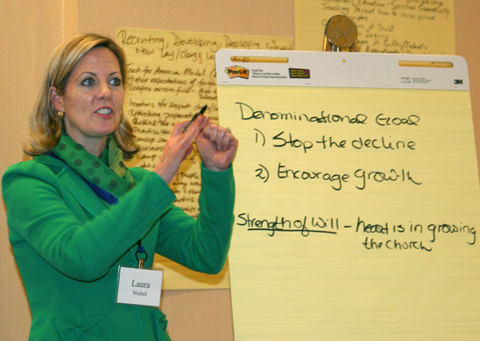 What does God have in store for the United Methodist Church? I have some thoughts in the weeks ahead, but the door is wide open. It’s up to the wily Spirit, and up to us to follow where She leads us. I mentioned that I happened to run into Adam Hamilton and Mike Slaughter a couple of nights ago. As is almost always the case, I thought of what I really wanted to say after I walked away. I wrote it down, and sent it to him as a letter. Can’t hurt right? 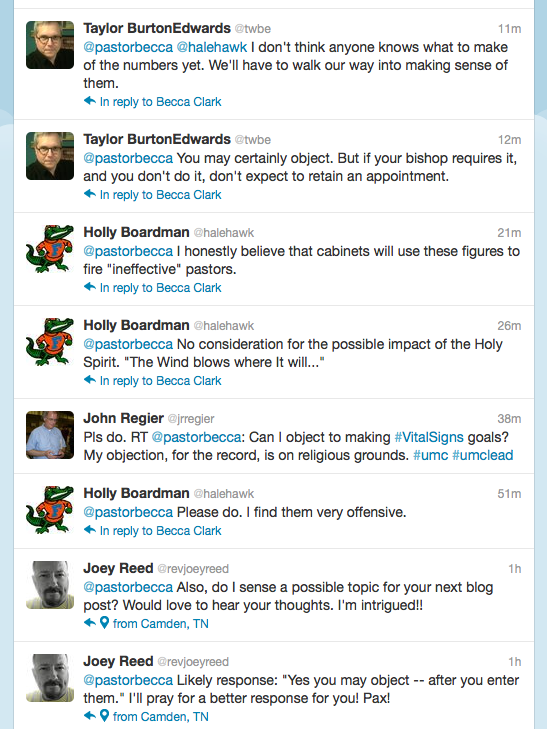 It’s part of our global conversation of church restructuring, so I’ll share it here (minus the greeting and stuff). Regardless of what plan for the UMC we (move on toward) perfect and adopt, I had one process conversation that I hoped to share. I read the whole report months ago and really loved the theology and push behind it; I just think there’s one more question that needs to be asked. 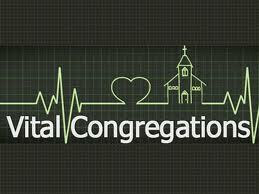 The Call to Action folks asked what makes a vital congregation. I want to take one more postmodern step back and ask, what makes a congregation? 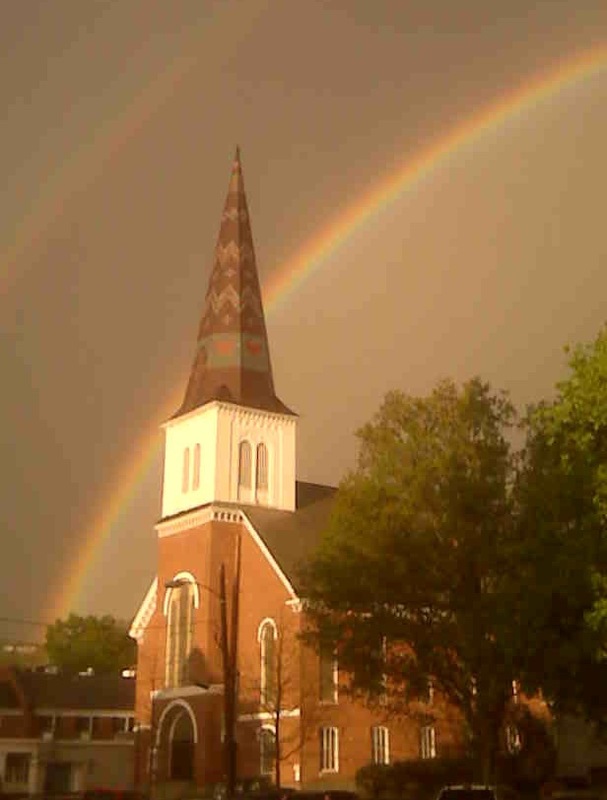 Put another way, what is the model of a local church? I submit that the presumed model is something like: a relatively fixed congregation that meets in an old (usually) building once a week for worship, and a smaller, more fixed subset of that group that trickles in and out in between to handle the administration and ministry of the congregation. This model of the church is dying. Definitely. I’m not convinced that’s a bad thing. There are a few very prominent exceptions, places where what appears to be this model is still very successful, but I believe the Church-of-the-Resurrections and the Glide-Memorials of the world are actually not living this model. They are exceptions that prove the rule. See, I think the strategists looked at vital and vibrant churches, presuming the current model, and asked, what do these congregations have in common? What do they do that we can measure and teach that makes them the same? From there they developed measures of vitality, some of which are really great, but some of which I feel are trying to make us better at being a church in the model that is broken and dying. I’d suggest that what makes those magnificent churches vital is not what they do that’s the same, but what they do and have done that has deviated from the presumed model of local church. What makes them different? Because that’s where they are living into a new way of being a local church, and that’s what we need to learn. I’m not an analyst or anything. I’m a local church pastor with just under eight years of ministry experience behind me. I can’t answer that question, although I suspect it has something to do with smaller, intimate groups of people in prayer and action together, connected to one another and to their context/community, gathering in worship to celebrate, equip, and uplift, and then living out their connection to God where they experience deep and true meaning in their lives in ways that are relevant for them, and engage and transform the world around them. In any case, if we see what we need to equip congregations in a new evolving model of local church (for example, I am horribly under resourced for how to identify and nurture leadership ability in the laity with whom I serve—been making it up as I go along! ), then I think we can better evaluate vital congregations, effective lay and clergy leaders, and the effectiveness of our global church to resource, inspire, and equip those churches and leaders. happen somewhere, because I believe in the UMC of today and tomorrow, I love it dearly, and I want us not to survive as an institution, but to die if we must and rise again to newer and more abundant life. I deeply appreciate your work on behalf of our worldwide church, and passionate, relevant ministry. I am honored to be in this Church—the whole big multi-denominational movement of people loving and serving Jesus—with you. This week is the deadline by which my Annual Conference wants me my church to submit goals into the dashboard of the “Vital Congregations” website. Coming out of the UMC’s “Call to Action” report, we are supposed to be working on creating and supporting vital local congregations (which I think is a good idea), by making each church set goals for their worship attendance, membership, and financial giving (which I think is a bad idea– the making of goals in these specific areas, not the financial giving). I’m not feeling very excited about this. In part this is because our congregation is in the beginning stages of the Natural Church Development program, which is another discernment tool for helping a congregation assess its strengths and weaknesses and create goals and ideas for addressing the area in greatest need of growth. It seems counterproductive for me to enlist church members in setting alternate goals, and I don’t want to arbitrarily set them myself. But my objection goes much deeper. As I (only somewhat jokingly) tweeted, I object to making these goals on religious grounds. Practical concern – I have no idea what these goals will mean. We are asked to make goals in five areas: Average weekly attendance, people who join the church by profession of faith, number of small groups, number of members in mission, and dollars given to mission. The only one I think makes sense is members in mission, by which the chart means members who have “gone on” a mission trip. Okay, to meet a goal in this category, we should offer more opportunities for people to go on mission trips. Not a bad goal, although it is rather limited to those who have the bodies, the work schedule flexibility, and the checkbooks to do so. I wonder if there are other ways to measure people *engaged in* mission activity, other than just going on mission trips, which are wonderful, but not the be all and end all of missional involvement. As for the other areas, I’m more confused. If I had a goal to increase the number of small groups (note– not the people in them!?! ), I could understand that as a program goal. Easy to measure and achieve, especially if I (apparently) don’t care how many people attend them. However, how is that measuring discipleship? What are we trying to accomplish by adding programs that may or may not be used? I don’t even understand which lines are added together to get the “dollars given to mission” on the charts, based on the numbers compared to my statistical data, but assuming this has been entered correctly (*huge* assumption, see below), much of the money given to mission is a function of events, special offerings, and disaster relief giving that has occurred in a given year. While the trend is academically interesting for me to know (I do love data! ), it’s not based on measurable things within the congregation’s control, unless I misunderstand. So how do we set goals? Everyone would love to see an upward trend in average attendance, but how is that at all related to setting a goal of a higher number? What are we going to do about it? If all we care about are warm bodies in pews, what are we counting anyway? And professions of faith– apart from confirmation classes, which I do have planned– there is literally no way on God’s green earth to try to *make* professions of faith happen. They are movements of the Spirit in the purest sense, fruits of the faithful ministry of the congregation. As such, again, the data is significant. But that does not mean we can set or work toward a goal. I’m waxing theological on these last points, but sue me. Practical concern – The statistics are inaccurate and either too small or too large a set to be helpful when compared to each other. The chart online shows five years of data, with the most recent year missing. I’ve been at this church for 3.5 years (2.5 of them shown). Prior to that, there was a, shall we say, unintentional interim appointment, and the statistics reflect a sharp downtick or no report filed. Prior to *that*, we have two years out of the eight of my predecessor, who is a pastor I love and respect, but who will be the first to admit that administration is not his strong suit. The stats entered here (and where I looked at them on the GCFA site for a longer history) are so consistent as to suggest guestimation. And, sorry, but I don’t trust that the guestimates were not a little padded particularly in the attendance department. Show me the past 20 years, and the stats will reflect the slow but steady decline of a mainline protestant church. Show me the three and a half years of my tenure and they will reflect the slow(er) but steady increase of a congregation healing from a bad match and coming back into its own. But this swatch of five years shows an inconsistent jumble of high, bottomout, and incremental increase. The data is only as accurate as the people who enter it. I’m accurately and faithfully reporting my numbers to the best of my ability, but I fear they make me look less effective for doing so, because they are lower than earlier guesstimates. The data doesn’t account for the whole story. It can’t account for purging of membership books, for the intermittent struggles of the congregation, or for the very persistent, uniquely Methodist, frequency of pastoral change. Not to mention that I bet most congregations show significant ups and downs relative to appointment match. Most of our inconsistency comes from that, but we seem unwilling to examine appointment length and strength in this conversation. Again, I digress. Replies to my tweet objecting to making goals. The Practical Waxes Spiritual – because there are no stated uses for these goals or even what would be measured and drawn from them, and because they exist in the context of also talking about closure of smaller churches and removal of ineffective clergy, there is a great deal of fear in this system. Clergy fear that if their goals are not high enough or are not met (and those are probably two different things), they will be shown to be a bad pastor to that church or ineffective overall, and moved or removed from the appointment process. Churches fear that if their goals are not high enough or not met, they will be shown to be unsustainable ministries, and will be forced by “the Conference” to drop to 3/4, 1/2, 1/4 time, etc, or merged/closed. Fear is not a great motivator for growth, nor, it must be said, for encouraging faithful reporting. And if you don’t think that fear or appointment status get thrown around in this conversation, I have a wonderful tweet I can show you. Spiritual Concern for our ends – I am not at all convinced that we are measuring the right things. Do we really think that these are what will make us vital? Here we have five “goal” areas, most of which are out of the control of both the congregation and the pastor, and none of which, I would argue, measure discipleship or spirit. Granted, these are things that can’t be easily measured. That’s kind of the point. And again, the information is intellectually helpful. But in terms of goals, I think we can do better. Sitting in church does not make a person a disciple any more than standing in a barn makes you a horse. 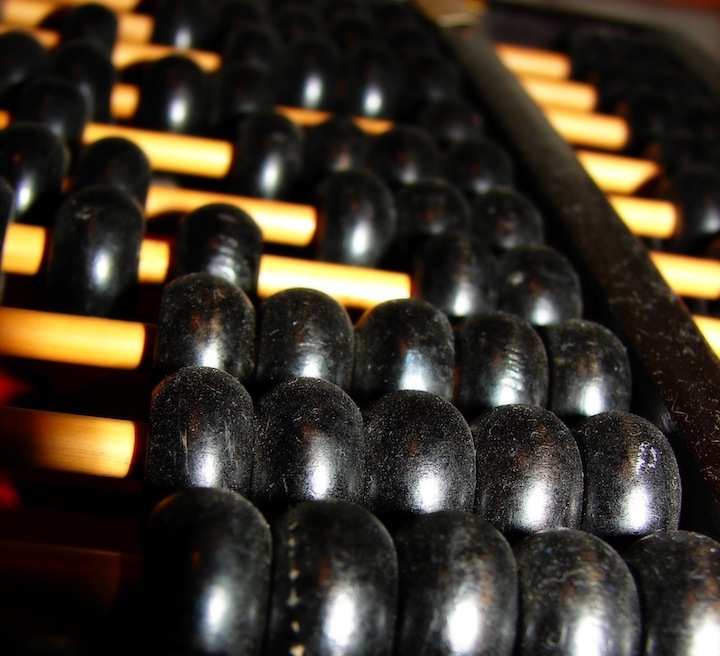 Let’s try to come up with some ways to measure our “making disciples” not our filling pews. I’ll say more on that when I suggest alternatives. Ultimately, what we are measuring is how good we are at living up to a model of doing church that I would argue is horribly outdated. Church is not about showing up and putting money in a plate, being seen once a week and understanding mission trips to be things that happen out there. It’s so much more than that, now. 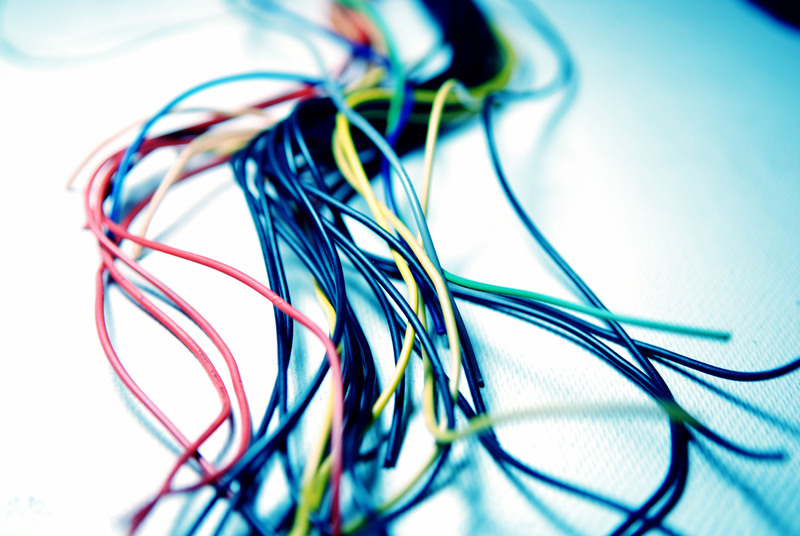 Do we really want to make goals to be better at a model of church that is broken? Spiritual Concern for our means – The entire process of using statistics and goals entered on a website cuts connectionalism from the conversation. Once upon a time, the United Methodist Church had some pretty decent ways of making goals and sharing them between congregations, clergy, district superintendents and even bishops. At quarterly (and later annual) church/charge conferences, a congregation would reflect upon, report upon, and celebrate the ministry of the previous year, and set goals for and plan for the years to come. This was/is done in the presence of a presiding elder, in many cases the District Superintendent, and reported to the Conference/Bishop. Yes, some forms and statistics are reported. But the heart of the charge conference is the meeting– the time together in conversation and shared visioning, in storytelling. That’s our tradition as Christians and Methodists. We are people of story, connection, and relationship. If you want to know my goals and the goals of my church, come listen to our story, or invite us to share it. Our story doesn’t fit in a 4×5 chart. This is why I have decided, in place of filling in these goals, that I will write a narrative of the goals and activities my church is currently doing (which I believe address all five of those goal areas more accurately, and a few extra besides), and submit that document to the office. I’ll also attach it here, hopefully tomorrow. Underneath all of this are two very real and inescapable truths: There are ineffective clergy and there are churches that are not sustainable. I get that, and I’ve seen both. I believe that we do need ways to evaluate the effectiveness of our clergy– but you’ll have no better measure than honest and frequent conversation with them and with the congregations where they serve. Likewise, there is no better measure of a church’s sustainability in their ministry and context than honest and frequent conversations with them and with the clergy who serve in those areas. Data and statistics should be used to back up and fact check what is discovered through story, relationship, and connection, never as the first part of the conversation. It’s a tool, but it is not who we are. Ultimately, I believe our goals need to flow from our sense of who we are, who we are called to be, and the mission that we are called to live out. I think we can do a better job responding to those questions with story rather than statistics.